Grub Customizer - a new graphical GRUB 2 and BURG settings manager -, 2.0 has been released today with a lot of enhancements: you can now select the default boot entry, change the menu visibility and timeout, set kernel parameters, disable recovery entries and change screen resolution (GFX_MODE) - all by using Grub Customizer. 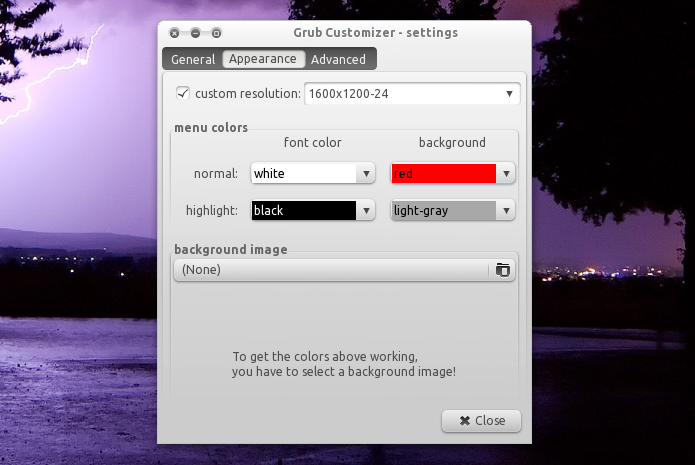 Besides the above new features, Grub Customizer 2.0 also brings some GRUB 2 only specific settings (they don’t work for BURG) like changing the menu colors or background image. Please note that these appearance options worked for me in Ubuntu 10.04 but did not work in Ubuntu 10.10 - however this might happen because I’ve messed a lot with the GRUB 2 configuration (including running the script for fixing the Plymouth). 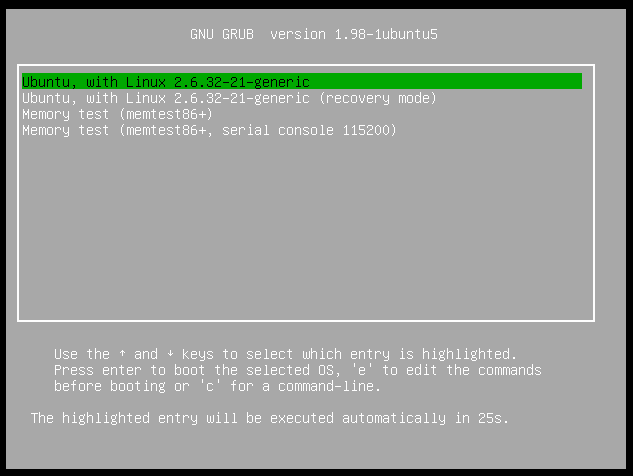 Once installed, you can find it under Applications > System Tools > Grub Customizer. For other Linux distributions: download Grub Customizer @ Launchpad (you’ll have to get it through BZR). For a similar BURG only tool, see Burg Manager.